Series I (1969 - 1980): The contents of these volumes are HERE and the volumes can be downloaded as pdf files. Note :- Vols. 5, 10, 15 & 20 have indexes. An index for Series I and Volumes 1-20 of Series II of the WIRG Bulletin is available for £2.00 (+ 50p p&p). Series 1 is now out of print but a few copies of Volumes 1 - 9 in the Second Series may still be available. WIRG publishes a twice-yearly Newsletter for its members. NEW: All newsletters prior to 2007 have now been digitised and converted to searchable PDFs. Click HERE for a list with links. There are many other small booklets, devoted to specific topics, published by WIRG, mostly written by Group members. For more details click HERE. 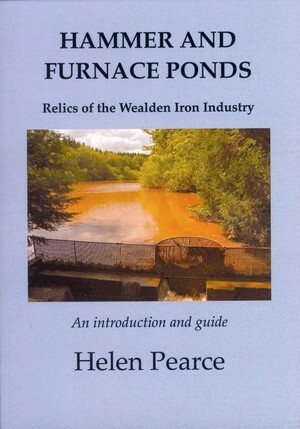 Wealden Iron deals with the former Ironworks in the counties of Kent, Surrey and Sussex. It relates the history of this industry from its early beginnings to its complete and very definite end towards the close of the eighteeth century. 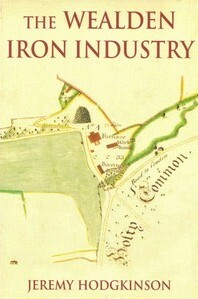 The book also includes a survey, made by the author, of the existing remains of the ironworkings. The story of this industry has, however, far greater significance than a mere study in local archaeology. Its history is very clear cut and self contained, yet it throws considerable light on the industrial and economic life of the country as a whole over a period of more than 300 years. However, you can download a searchable pdf of the book (116.3Mb) HERE NB: The Contents list on page x has hyperlinks to the beginning of each chapter to facilitate reading a particular section of the book. There are also hyperlinks on page xi to each of the sections of the gazetteer and to the pages of maps. For two periods of British History - the first part of the Roman occupation and the Tudor and early Stuart periods - the Weald of south-east England was the most productive iron-producing region in the country. Looking across the tranquil Wealden countryside, it is hard to identify anything that hints at its industrial past. Yet 400 years ago, nearly 100 furnaces and forges roared and hammered there, the smoke form charcoal-making curling up from the surrounding woods and the roads bustling with wagons laden with ore and iron sows. Many British naval campaigns, including the Spanish Armada, the wars against the Dutch, and the Seven Years' War, relied on Wealden iron cannon; the pressures of conflict driving forward the development of iron-producing technology. For a time the economy of the whole area was dominated by the production of iron and its raw materials, providing employment, generating prosperity, and shaping the landscape irrevocably. Drawing on a wealth of local evidence, this book explores the archæology and history of an area whose iron industry was of international importance. 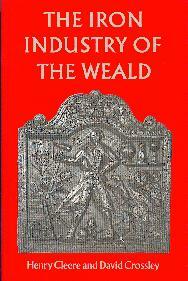 The Weald of Kent, Surrey and Sussex form the site of the major concentration of ironmaking in Britain during two distinct periods of the island's history; during the Roman occupation of AD43-400 and in the 16th and 17th centuries. 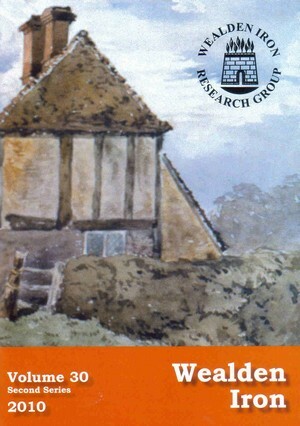 This book surveys the evidence derived from excavation, fieldwork, documentary studies and experimental archæology carried out by the Wealden Iron Research Group. It includes chapters on geology and topography of the region, the iron industry during the successive periods of operation, and the technology of the direct and indirect ironmaking processes, together with a detailed gazeteer of sites. This book is now OUT OF PRINT but all good libraries should have a copy. NB: The Contents list on page v has hyperlinks to the beginning of each chapter to facilitate reading a particular section of the book. of the 16th to mid 18th Centuries. 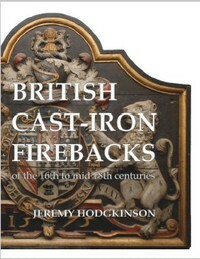 Firebacks began to be made in Britain in the first half of the sixteenth century. From the purely functional purpose of protecting the back of the fireplace and reflecting heat into the room, it was not long before the opportunity was taken to embellish their plain surfaces. Their decoration provides us with a reflection of the social history of the times in which they were made, whether in the heraldry of royalty and the landed class, the religious and political turmoil of the Stuart period, or the beginnings of the Enlightenment and the rediscovery of classical literature. Illustrated with more than 300 photographs, this first survey of British firebacks sets out to explore their development and variety, and to provide interpretation, where possible, of the decoration to be found on them. The illustrations are to scale so the relative sizes of firebacks can be compared, and there is a comprehensive gazetteer with full details of each fireback shown. They beautify the woodlands of the Kent and Sussex High Weald and adjacent parts of Surrey, but they were created to power what has been described as the country's first industrial revolution. NB: All newsletters prior to 2007 have now been digitised and converted to searchable PDFs. 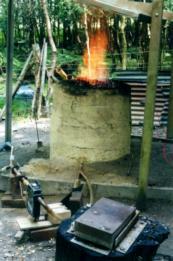 © Wealden Iron Research Group 2000-14.